In an all-too-familiar script, BU gave up the first goal just shy of the six-minute mark of the first period. Filips Buncis picked Krys’ pocket in the slot and whirled to find Anthony Croston at the right crease for an easy goal. #10 Terriers spotted visiting Merrimack an early 1-0 lead, but stormed back to score the next four en route to a 6-3 win at Walter Brown Arena. 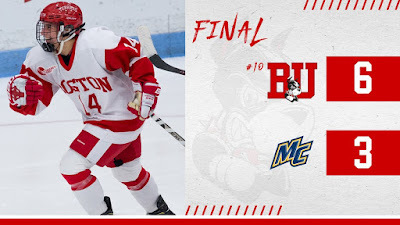 Sophomore Kristina Schuler and freshman MacKenna Parker both scored twice as BU stretched its winning streak to six games. 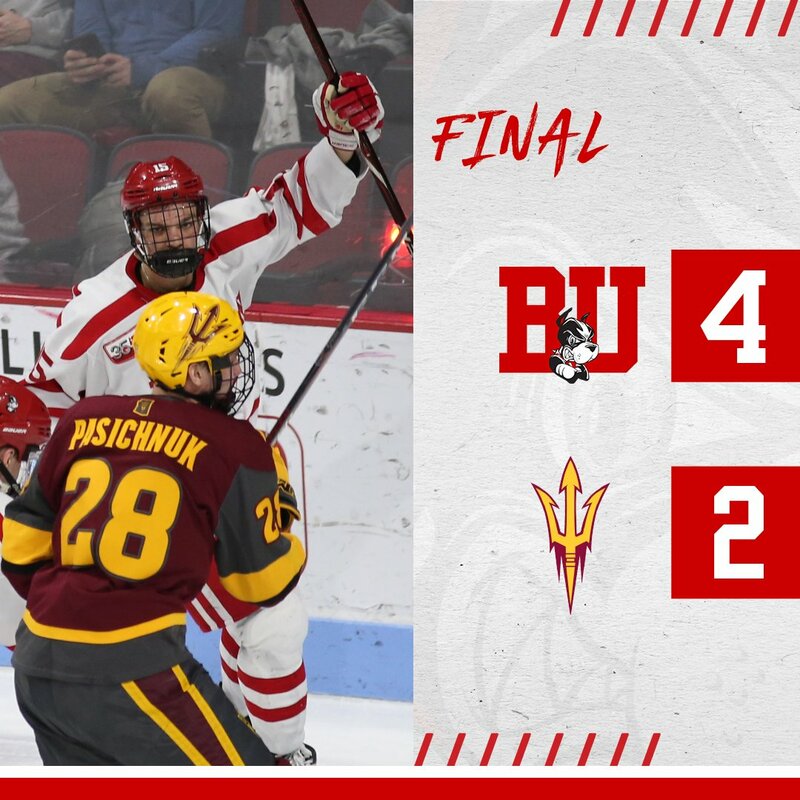 Since the end of October, BU has gone 15-3-2. Emma Wuthrich and Sammy Davis also scored for BU.